Smartwatches might seem like a new trend, but they’ve been around for quite some time. So much so that there are smartwatches today that are designed for kids. Yes, kids. While it normally doesn’t make sense to buy a smartwatch for your kids, given the array of fitness and safety features it comes with, this can be an excellent investment keeping the health and security of your children in mind. So which kids smartwatches should you get? Well, there are quite a bit of wearables out there, which can make the choice a bit daunting for everyone. Keeping this in mind, we are going to sort through the crowd and pick five of the best smartwatches for kids. Not all these wearables are meant for kids, but we’re including a couple of adult smartwatches here that can also be worn by children. So let’s have a look at our list. The Fitbit Versa is a decent smartwatch and one that is suitable for both kids and adults. But since we’re discussing kids smartwatches here, let’s talk about some of the features that make it ideal for kids. It comes with the ability to track your steps, swim runs etc, as well as 24/7 heart rate monitoring thanks to the built-in sensor. It can also store up to 300 songs natively, while you can also stream content from services like Pandora and playlists by Deezer. The fact that it can be used while swimming also means that it’s water resistant, so feel free to wear it during your swim sessions. It also has some decent communication features built-in like the ability to reply to your messages (Android only). You can also get notifications from a bunch of apps on this wearable, so it can be of great help to the users, adults or otherwise. A special edition variant of the Versa comes with a NFC chip built-in, allowing wireless payments. But we don’t think that’s a requirement for a kids smartwatch, so we suggest you stick to the standard variant. 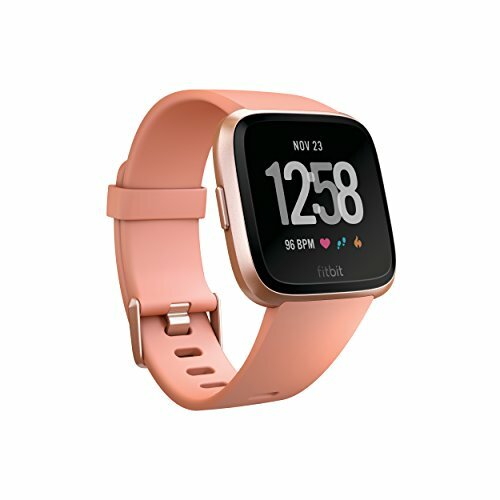 The Fitbit Versa is priced at $199.95 on Amazon. This variant comes included with small and large bands. This is a slightly lesser known company, but the smartwatch here is designed for kids, making it an ideal candidate for all parents. What makes this particular smartwatch special is the fact that it comes with two cameras, with the ability to take pictures and set them as watch faces as you like. You can also add photos on the smartwatch using the supplied USB cable. The device also comes with a pedometer for motion sensor related games. It also has a pretty sweet augmented reality gaming experience that lets you spot monsters around you. 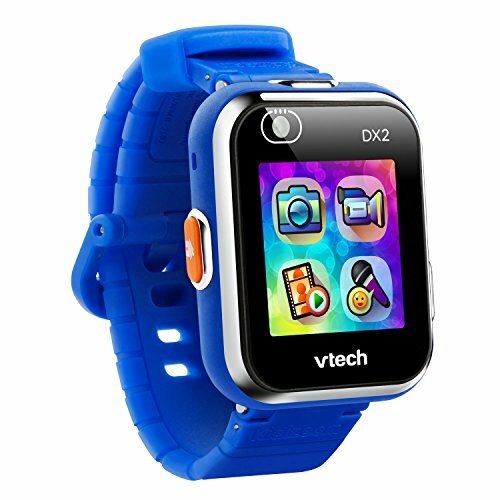 It might not seem like much, but the VTech Kidizoom is a pretty decent smartwatch that is designed specifically for kids. It comes with a total of 55 watch faces onboard which are worth checking out. 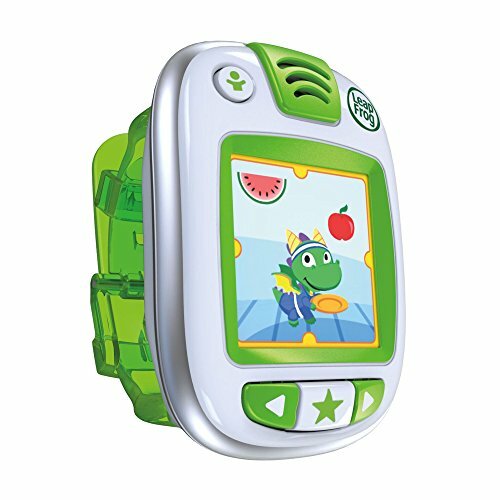 The VTech Kidizoom is available on Amazon for $47.99. The Kidizoom comes with a 1-year warranty as well. This is more of an activity tracker than a full blown smartwatch. It comes with 50 challenges on board designed to keep the kids moving and active. Parental controls are available here, allowing parents to set play times, assign new challenges and more. This smartwatch is designed for slightly smaller children (aged 4-7). You can download the Petathlon Games App from the Google Play Store to compare with other players around the world and beat their scores. Each player has their own pet here, and you can unlock more pets as you clear more levels and increase your score. This attractive activity tracker comes in three colors – Green, Blue, and Pink, so there are plenty of choices. This is an extremely cost effective offering priced at $37.23 on Amazon. Slightly more advanced compared to the other watches that we talked about above, this is yet another kids oriented smartwatch that comes with more than just games. But talking about games, it comes with about 20 games preinstalled, giving you enough to play around. It also comes with a music player, a built-in camera, and Bluetooth technology, allowing you to make calls and send messages with paired Android smartphones. An excellent safety feature here is the inclusion of an I.C.E (in case of emergency) app that allows you to store crucial data about your children like contact as well as health related information. In terms of storage, there isn’t a whole lot to talk about as it only offers 256MB of storage by default. But since this is a kids’ wearable, that should be sufficient enough for any activity. 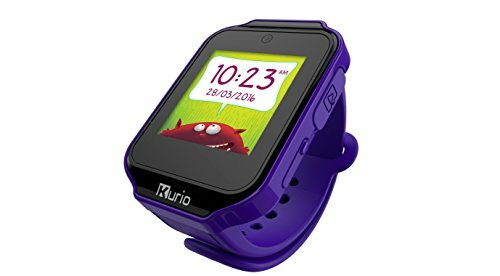 Much like some other kids watches out there, the Kurio Watch comes with a motion sensor and games specifically designed for this purpose. 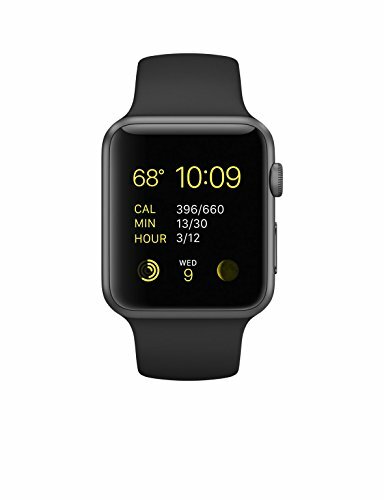 The wearable will set you back by $55.49 on Amazon. Be sure to check it out. The Kurio Watch is available in Blue, Lavender and Pink colors, so you have plenty to choose from. This might be a slightly unconventional choice on this list, but the first and second generation models of the Apple Watch are an excellent fit for children especially since they’re available for a fraction of the cost now. Given that Apple has recently unveiled the Series 4 Apple Watch, the Series 1 and 2 variants are available for throwaway prices. This particular variant is the Series 1 and comes with a 42mm Sports band by default. There’s also a heart-rate sensor, gyroscope, and an accelerometer. The Apple Watch comes with a Retina Display and Force Touch to detect the pressure of your touch for watch specific features. It has a dedicated SOS feature as well, which is extremely handy for kids. The wearable is compatible with Apple’s wireless payments services, known as Apple Pay, although a feature like this is not recommended for kids. At $234.99, the Apple Watch Series 1 is not the cheapest kids smartwatch out there, but it’s certainly one of the best.